On the day that the world recognises and celebrates this vital part of the healthcare system, International Pathology Day, Business Events Sydney (BESydney) has announced that Sydney will host the 2022 Congress of the International Academy of Pathology (IAP). The biennial congress, to be held at the new International Convention Centre Sydney (ICC Sydney), is expected to attract approximately 2,200 delegates over five days, and is anticipated to bring an estimated $6.7m to the local economy. Hosting the event in Sydney in 2022 is especially significant as it will also be the 50th Anniversary of the Australasian Division of the IAP. 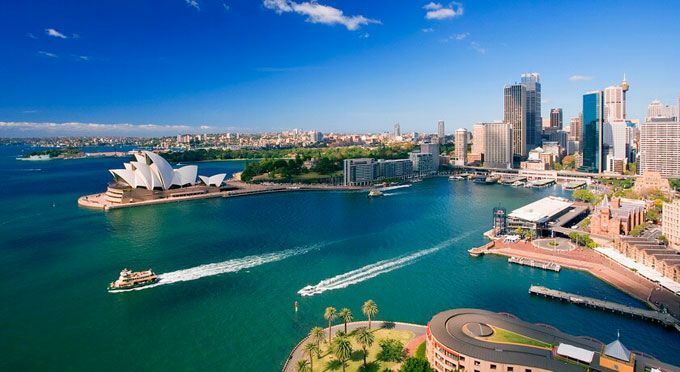 “We are absolutely thrilled to be welcoming our international colleagues here to Sydney in 2022, in what is a year of celebration for the Australasian Division. We are committed to advancing the field of pathology, not only here in Australia but also around the world. We feel there is no better way to recognise our 50th Anniversary milestone than by bringing the global pathology community to Australia to drive the advancement of our specialty worldwide,” said Professor Richard Scolyer, Immediate Past President of the Australasian Division of the IAP and Congress Chair. BESydney worked closely with a number of stakeholders to secure the event for Sydney, in particular the New South Wales (NSW) Government, which is investing $91.6m in a new state-of-the-art Forensic Medicine and Coroner’s Court facility in Lidcombe. This is the first of its kind anywhere in Australia. “NSW is leading the way when it comes to investing in this essential area of healthcare, and bringing the world’s best pathologists to Sydney in 2022 is a great opportunity to share our knowledge and learn from our international guests,” said NSW Minister for Health, Minister Brad Hazzard MP. BESydney CEO, Lyn Lewis-Smith said securing the event for Sydney was the culmination of concerted collaboration across the private and public sector. “Securing major international events such as the IAP World Congress requires a collective approach. For this bid, our team worked closely with key stakeholders, locally and throughout Australia, to build a compelling proposition that had strong support from government, academia and industry. The result extends our record of securing international business events that sit within the NSW Government’s priority sectors. Hosting these events brings the world’s top experts in these sectors to Australia to collaborate, share best practice and shape the future,” said Ms Lewis-Smith.